In 2003, DHI Global Medical Group was the first medical organization to advance from the dark ages of brutal strip extraction (Follicular Unit Transplantation- FUT) adopting instead the superior method of Follicular Unit Extraction, or FUE. Since then we have taken one further giant step forward in pioneering a technique that represents a paradigm shift in the art and science of hair restoration. After seven years of relentless research and development, our team introduced the world to the next generation; we call it Direct Hair Implantation, which is offered exclusively by all DHI centers worldwide. The technology employed in the Direct Hair Implantation technique allows each single hair follicle to be transferred directly from the client’s donor area to the recipient area in need of restoration. The unique DHI patented tool, the DHI Implanter, allows the doctor to control the direction, angle and depth of each follicle, providing 100% natural looking results and the maximum chance of success for each implant. Every part of the procedure is performed under the unique DHI Total Care System, the world’s first and only quality standardization of procedure. DHI Total Care System is part of the only Academic Training Program for doctors at Evgenidion University Hospital of the University of Athens. Thousands of examples of success stories are available from DHI Global Medical Group. More than 200,000 satisfied patients worldwide. In 2009, after the big success of Direct Hair Implantation procedures and in order to offer proper education for doctors and other health care providers, DHI established the world’s first and only full time training institution for hair restoration, the London Hair Restoration Training Academy (LHRTA). All DHI Global Medical Group doctors, nurses and clinic managers are trained, certified and annually evaluated by the LHRTA which is now associated with two major public European universities offers courses to successful and talented candidates to train with the DHI Total Care System for hair restoration. 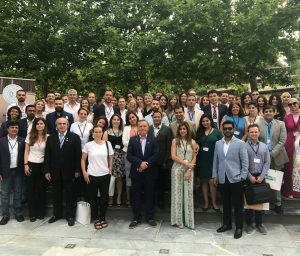 Today, DHI Global Medical Group offers the best hair transplant technique worldwide along with the most comprehensive Diagnostic System for Alopecia, the DSA which now includes the new DNA Hair Biology Test and the Hair Psychology Test, both developed in cooperation with the University of Athens. Recently, during the 2nd International Congress of the World Institute of FUE, the DHI founder Konstantinos Giotis, was listed among the seven most important reformers in the history of Hair Restoration. Faithfull to the vision of Konstantinos Giotis, DHI is now changing the world through hair restoration by helping hair loss patients to find themselves again!